Norwegian egg coffee: This is an idea that casual coffee drinkers and coffee snobs alike can enjoy. It’s also called Swedish egg coffee or Scandinavian egg coffee, depending on who you ask. 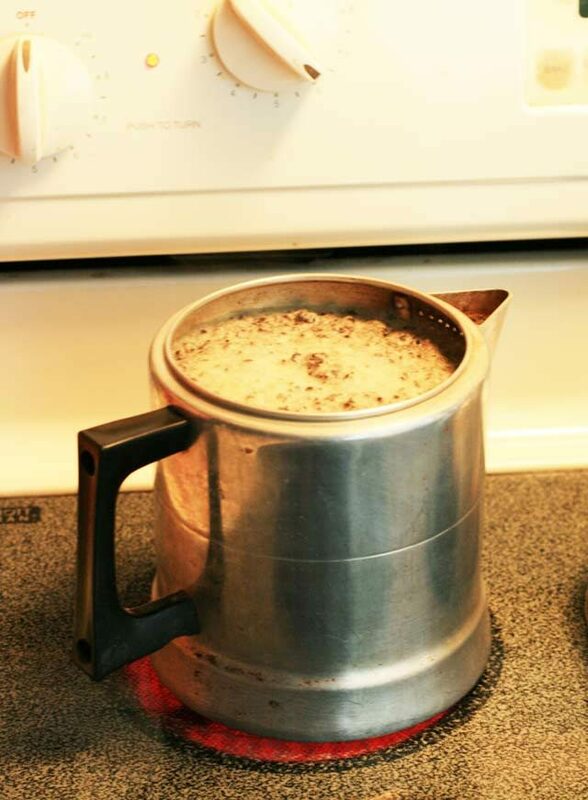 Over the past couple of years, this method of coffee making has been making its rounds on the internet. I wanted to share my family’s recipe, which is one we’ve been making for decades. What Is Norwegian Egg Coffee? 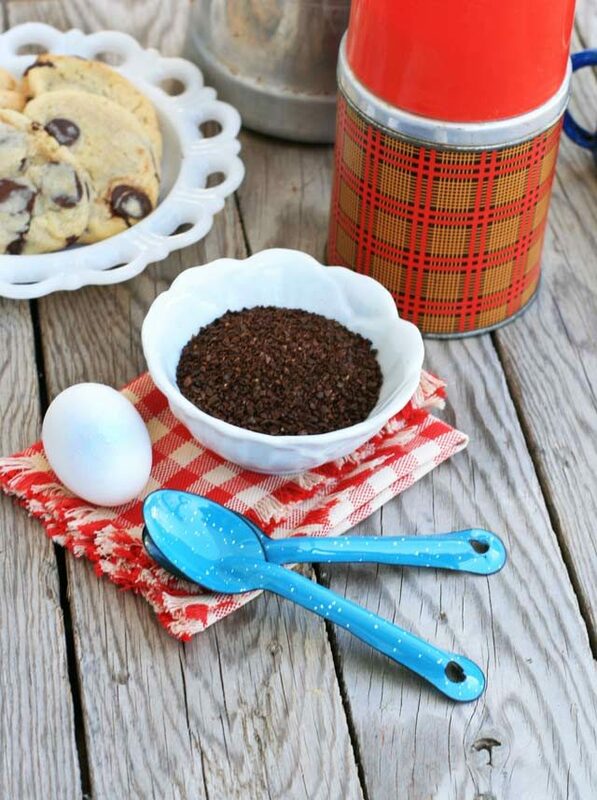 Egg coffee is method of coffee making that involves mixing coffee grounds with a raw egg. The mixture is added to water and boiled until the foam disappears. There is no coffee filter used, so extra water is added to the coffee pot to settle the grounds. The result is a smooth, clear coffee. Truth be told, the taste difference here is subtle. Your afternoon coffee guests may not be able to tell the difference – but don’t be surprised if you get compliments on your brew. This is definitely a method of coffee making worth trying. No. There is no egg taste to the coffee. The coffee tastes like coffee – a clean and smooth cup of coffee. Adding cold water to the boiled coffee is usually enough to settle the coffee grounds, but I like to run it through a strainer. Beat egg in a small bowl with a fork. Add coffee grounds and mix until you have a sludge. Bring 7 cups of water to a boil in a large coffee pot or saucepan. Add coffee/egg mixture. Continue boiling until the foam disappears - about 3 minutes. Remove from heat. Add 1 cup of cold water to the coffee pot. This will help settle the grounds. Pour coffee through a strainer to catch any loose grounds. Serve. OMG I’m a huge coffee addict and will have to try this!!! So intrigued. I guess it’s almost like when you temper eggs into soup or sauces, it makes it extra rich! I am not a coffee drinker, but as a foodie, this is very interesting. Thanks for sharing.